George couldn’t read. When George’s parents asked her to explain what their son’s reading difficulties were and what she was going to do to help, Kylene, a secondary certified English teacher with no background in reading, realized she had little to offer the parents, even less to offer their son. That defining moment sent her on a twenty-three-year search for answers to that original question: how do we help middle and high schoolers who can’t read? 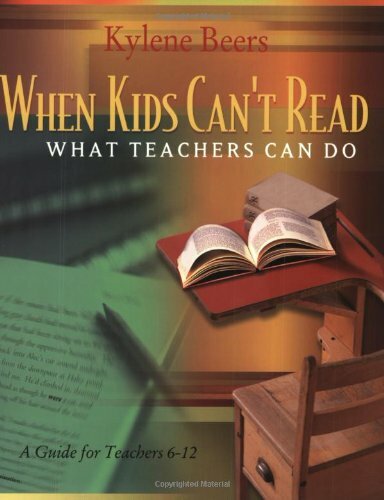 Here, Kylene offers teachers the comprehensive handbook they’ve needed to help readers improve their skills, their attitudes, and their confidence. Filled with student transcripts, detailed strategies, reproducible material, and extensive booklists, this much-anticipated guide to teaching reading both instructs and inspires.